After an intense three-hole aggregate playoff with Mark Stevens (Pembroke, New Hampshire) Jason Thresher (West Suffield, CT) captured the title of 107th Massachusetts Open Champion. 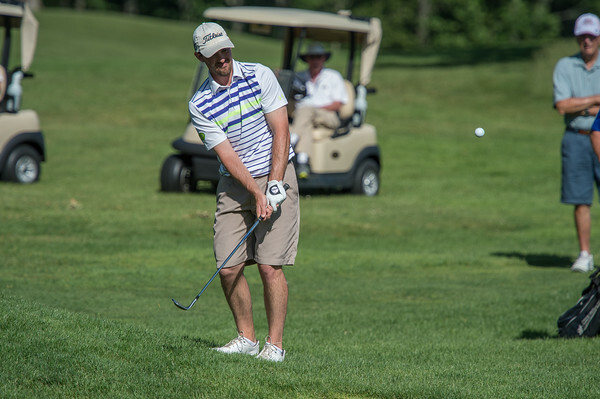 The 107th Massachusetts Open took place this past Wednesday, June 15th at the Worcester Country Club. The winner’s purse was worth $15,000 and Thresher became the seventh person to capture the Clarence G. Cochrane Memorial Trophy at Worcester CC since the event was founded in 1903. Jason Thresher will be among other golf legends like Nelson, Donald Ross, Walter Hagen, Francis Ouimet, and Gene Sarazen who have also won this trophy. 27 year old Thresher said, “This is the next big step for me. I have been close. The closet I was was last year when I was tied for third and in contention on the back nine”.” His road to victory was not easy and required a lot of hard work. Thresher was emotional and in awe that he would now join the company of players like Jeese P. Guilford (1919), Donald Vinton (1926), Wiffy Cox (1931), and Byron Nelson (1939) in winning this title in Worcester. Then on the 5th hole he made the shot that changed the game, on the 410-yard, par 4, 7th hole, “The highlight of the day was definitely on 7,” said Thresher. “I hit it right through the wind and over the green and you can’t do that. I’m not sure that I could have kept it on the green, but luckily I hit a huge flop shot and it rolled out perfectly, hit the flagstick and went right down.” After this shot he made a seven-foot birdie landing him in a two-man playoff with Mark Stevens, the clubhouse leader. Stevens made a bogey on his first playoff hole which put him in a bad position, allowing Thresher to come out on top. 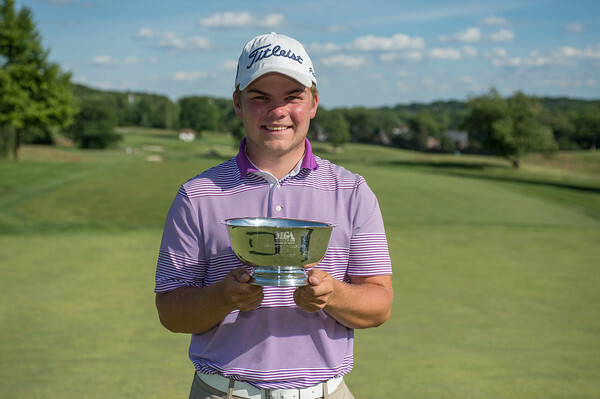 Matt Hutchins from Falmouth, Maine won the Commonwealth Cup, awarded to the lowest amateur golfer. His play at the Open was outstanding, proving he is playing the best golf of any New England amateur. Only five amateur competitors have ever claimed the top prize, the last being Kevin Quinn in 1999 at the Wellesley Country Club. The three days of the MGA Open Championship concluded at the 18th hole where Mike Dowling, longtime sportscaster for WCB-TV announces the name of each competitor as they approach the final green. The flagstick where the MGA flag stands is replaced with a special American flag by 3 veterans, in support of the Golf For All non-profit organization. The Golf For All non-profit provides accessible golf programs for people with physical, emotional, and cognitive challenges. Bob Beach is one of the program’s primary instructors who annually conducts free golf clinics and instruction for veterans and disabled veterans at four locations in Massachusetts and one in Rhode Island. All in all the 107th Massachusetts Open Championship consisted of three days of fun and exciting play. Wrapping up in an aggregate three-hole playoff with Jason Thresher coming out as the winner. Thresher is very grateful for his win and honored to be apart of a list of golf legends who also hold the MGA Open Champion title.